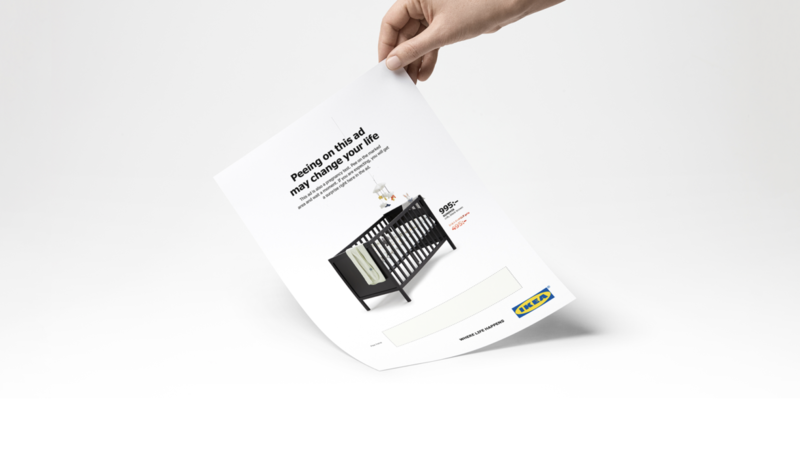 At first glance, The Pee Ad was just an ordinary retail ad, promoting a baby crib. But after reading it, you realized that it was also a pregnancy test. All you had to do was to urinate on the marked area in the ad, just like you would on an ordinary pregnancy test. If you were pregnant a better price ”magically” appeared under the cribs pre-printed price. The price was the price you get as a member in the Ikea Family Club. You didn’t have to bring a pee soaked ad to IKEA. It was reminder about the lower prices you can enjoy as an IKEA Family-member.